Windows Collaboration Displays are one of the more interesting bits to come out of Microsoft’s Computex keynote today. The company hasn’t released a ton of information about the hardware platform. At first glance, they appear to be similar to Microsoft’s own Surface Hub digital whiteboard offering, but are actually “a non-compute peripheral extending the PC desktop experience to room scale,” according to the company. In other words, they function more along the lines of a large display, rather than a standalone unit. The system is built around Microsoft 365 tools and is designed to work with the company’s software offerings like Office, Teams and Whiteboard. Sensors on the board utilize the company’s Azure IoT spatial intelligence capabilities. There’s a long blog post about that tech over here, but the system essentially uses room measurements to build adaptive models. 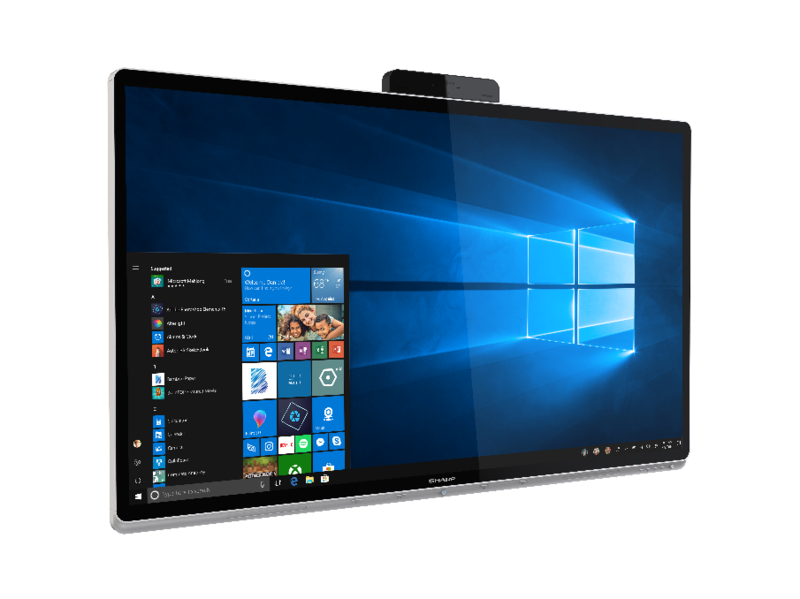 Microsoft has already signed up a couple of third-party hardware manufacturers to build Collaboration Displays, including Sharp (pictured above) and touchscreen display maker, Avocor. The systems will feature both touchscreen and pen inputs, stereo speakers, a camera and a far-field microphone system. Those products will be available at some point later this year. No word on cost, but Microsoft is promising “low price points,” which likely means they’ll come in under the Surface Hub, which starts at $9,000.